Dehumidifiers Brisbane both unique and innovative. Growing city with an increasing mould problem. Dehumidifiers Brisbane are the most efficient way to keep contents dry. 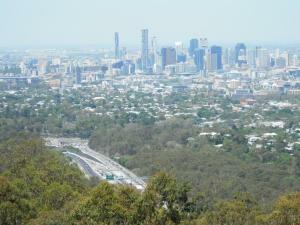 Areas like Brisbane experience frequent warm and humid weather conditions. This humidity together with the moisture caused by everyday living often creates problems. It is less of an issue in open, well ventilated areas. However, in enclosed areas, such as cupboards, wardrobes, drawers or safes, we often find unpleasant odours, mould or rust. How often have we put a freshly washed piece of clothing into the wardrobe only to find it smelling musty by the time we want to wear it again. Or we keep our valuable coin collection in a safe and it keeps getting tarnished. Books squeezed into book cases are another frequent victim to the harmful influence of humidity. Deodorisers of any kind just mask the smell. To tackle the underlying problems, you need to get rid of the moisture. Electrical dehumidifiers are for obvious reasons not suitable to be used in enclosed spaces. 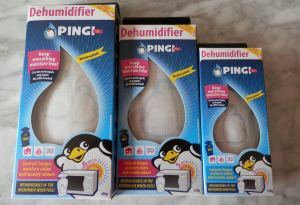 However, Pingi has the perfect alternative with its Dehumidifiers Brisbane range! Pingi Dehumidifiers Brisbane are filled with silica gel pellets, which can absorb up to a third of their weight in moisture. The pellets do not dissolve, so there is no danger of leakage or spills. This makes them ideal for cupboards and drawers. They can touch clothes and other items in your cupboards without staining or damaging them. There is no need for refills. Silica gel is not harmful when ingested, so Pingi Dehumidifiers Brisbane are safe round toddlers and pets. On the outside of the bag is an indicator which turns from blue to light pink, which shows when it is time to recharge Pingi Dehumidifiers Brisbane. The indicator is in the shape of a penguin, which gives Pingi Dehumidifiers Brisbane their name. Or you can weigh the bags, which is a more accurate way to tell when to recharge them. To recharge them, you just pop them for the suggested time into the microwave and they can go back to work in your cupboards. Pingi Dehumidifiers Brisbane are the most efficient way to keep the contents of your cupboards dry and mould free. They are also cost-effective as once you have bought them there are no further expenses for refills. Our product range come in 3 sizes. Order Dehumidifiers Brisbane from our Shop.